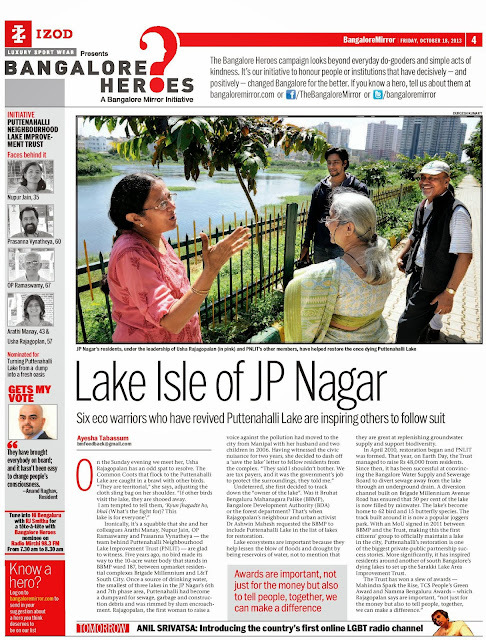 PLOG - The PNLIT Blog: Nominated for "Bangalore Heroes"
Bangalore Mirror's Bangalore Heroes campaign looks beyond everyday do-gooders and simple acts of kindness, to honour people or institutions that have decisively and positively changed Bangalore for the better. 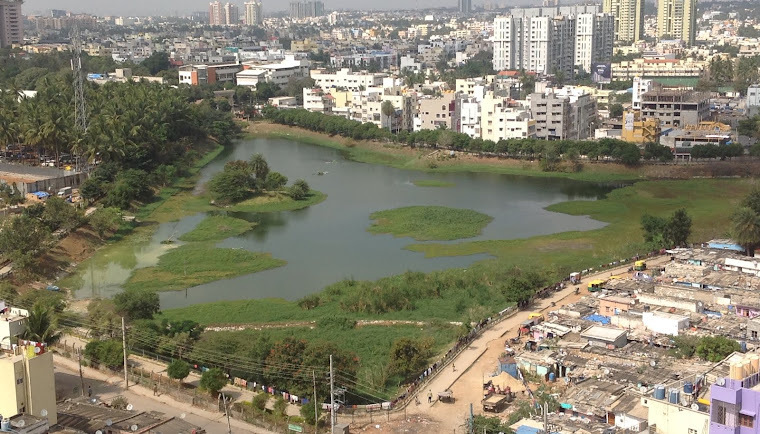 PNLIT is honoured to be nominated for this, for turning Puttenahalli Lake from a dump into a fresh oasis. A big thank you for all the support that PNLIT has received - from the BBMP and other authorities, residents of the locality, volunteers, donors, the media and other well-wishers. Without this it would have been impossible to reach this far. We still have miles to go together. 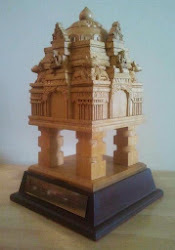 See the related video here.